Portable Document Format – PDF is one of the popular and widely used file systems for emailing, sharing, and printing documents. For basic editing, you may need to install a suitable Linux pdf editor because Linux does not come with a default pdf editor. There are lots of options available when the question comes to editing pdf in Linux but the choice is very limited if you compare with adobe acrobat for windows and MacOS. That’s why here I have reviewed both free open source and paid Linux pdf editor for fulfilling the requirement of advanced and basic options. While writing the article, I have tested all the software on Ubuntu Linux and as this site is on basically Ubuntu, so here I will be sharing the install method for Ubuntu. But all those Linux pdf editors are similarly applicable for other Linux derivatives. 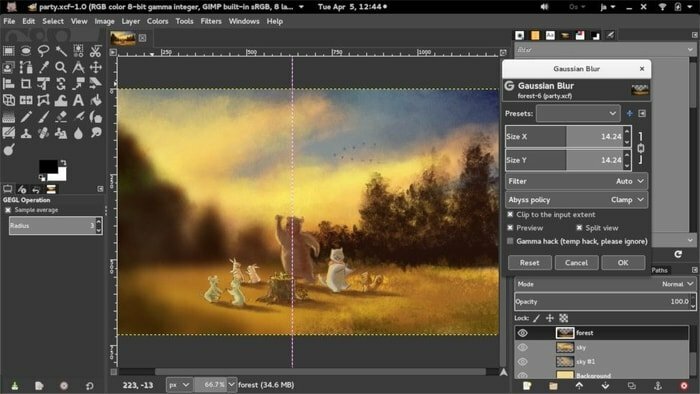 Inkscape is a professional vector graphics editor for Windows, Mac OS X, and Linux. It’s free and open source and used by graphic design professionals all over the world. If you are a graphics designer and need to edit any pdf documents, just don’t go anywhere. Inkscape can also do the task of pdf editing. It can import the pdf files and let you edit that accurately. LibreOffice Draw is one of the best free and open source pdf editor for Linux. 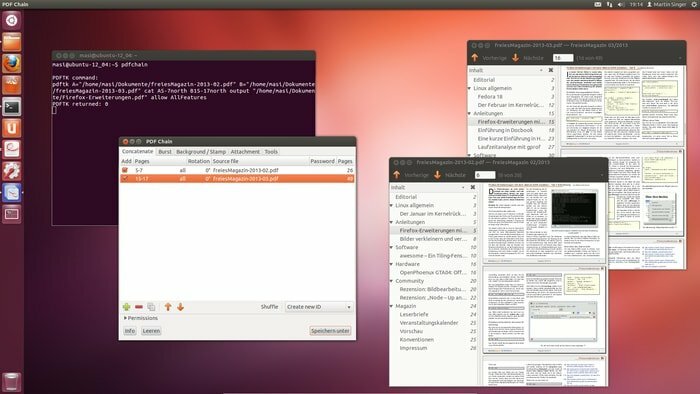 This Ubuntu pdf editor provides a set of tools for editing pdf documents in a limited way. It will fulfill your limited and basic documents editing mostly text editing. Qoppa PDF Studio is a commercial Linux pdf editor but it has all the necessary tools and features that can easily fulfill the requirement of editing, viewing or creating pdf documents. There are many features available but worth mentioning are edit text contents and properties, shapes and path objects, move and resize images, Add sticky notes, text box, interactive form designer, apply headers, footers, watermarks etc. 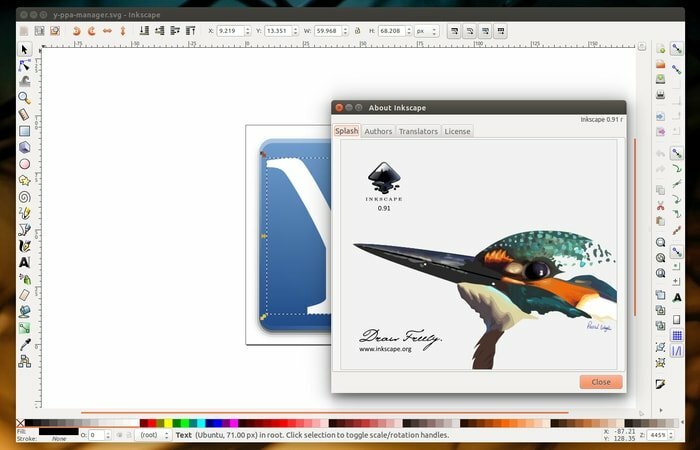 Okular is completely free and open source pdf editor for KDE system. 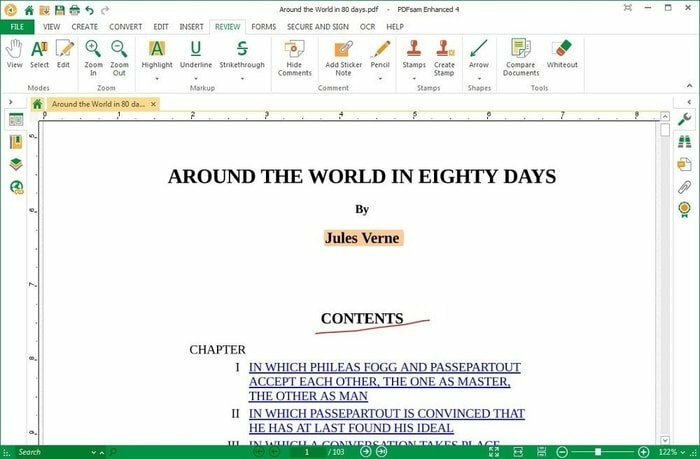 It also comes with basic pdf editing features. Most mentionable features are inline notes, freehand line drawing, stamp, pop-ups notes, highlighter etc. Master pdf editor is the most popular and featured rich commercial Linux pdf editor available in the market. You can do almost everything ranging from creating and editing a pdf file to signature handling and editing scanned documents. It provides a wide range of features including add or edit text, images, notes into the pdf documents, offers powerful annotation tools, ability to edit pdf forms etc. Though Master PDF Editor is a proprietary application, still you can do some basic task by using the free version. But digital signatures, encryption, and watermarks are not available in the free version. PDF Chain is a simple but powerful application which is a GUI for the PDF Toolkit (PDFtk). It can add backgrounds, stamps, or edit the PDF info, or dump the form data in a PDF etc. Though Scribus is a publishing software for Windows, Linux, and MacOS, still you can edit pdf files with it. Scribus supports basic pdf editing like create PDF files, lists, add controls and other form features. With the help of Scribus, you can make animated and interactive pdf documents. PDF-shuffler is a simple and easy to use Linux pdf editor available out there. It’s a python-gtk software which helps you to split or merge pdf documents and rotate, crop and rearrange the pages using an intuitive and interactive GUI. PDF Escape is not a full-fledged software but browser-based pdf editing tool. So you don’t need to download or install anything, just drag your pdf files “Drop Here” section, upload and you can create PDF files, add annotation and set the password to protect a PDF file. Evince is more like Linux pdf viewer than a full-fledged pdf editor. It comes with inbuilt on Gnome desktop environment and supports PDF, tiff, XPS, Postscript and many more. It has many features including document indexing and printing, search tools, encrypted document viewing, and many more. 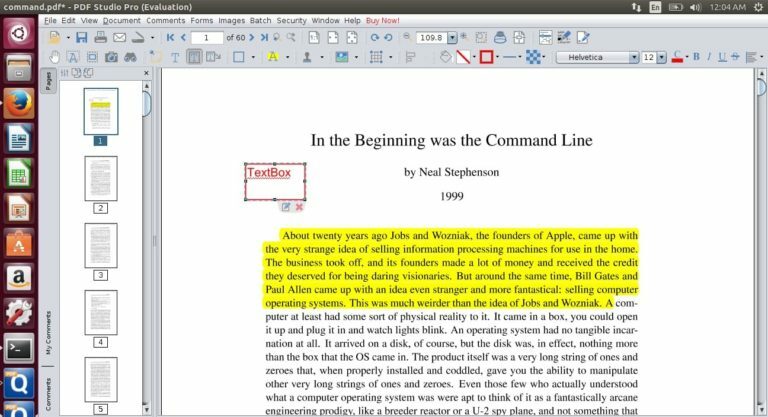 Foxit Reader is a multiplatform pdf viewer and editing tools for all the major OS including Linux, Windows, and MacOS. It’s a fast, secure and easy to use Linux pdf editor which offers some basic pdf editing tools. Apache OpenOffice Draw is one of the best open source pdf editors like LibreOffice Draw. You can use it for both Linux pdf editor and viewer. It supports all the major OS platform like Windows, Mac, and Linux. 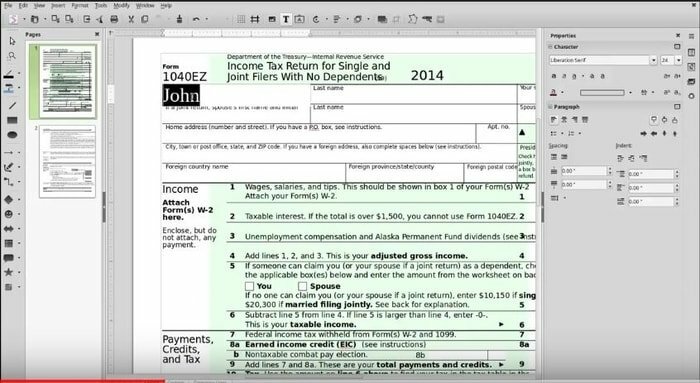 You can insert images, text forms field and more using this open source PDF editor. 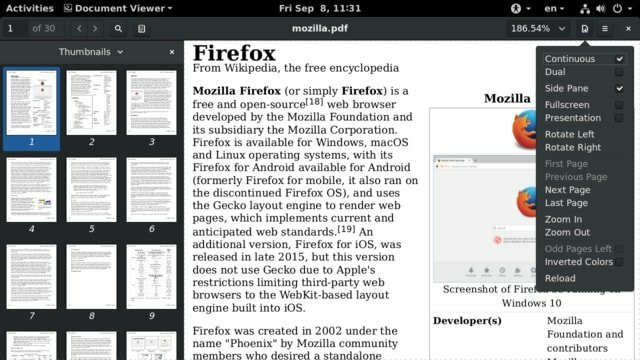 PDFedit is a free and open source pdf editor and viewer for Linux. 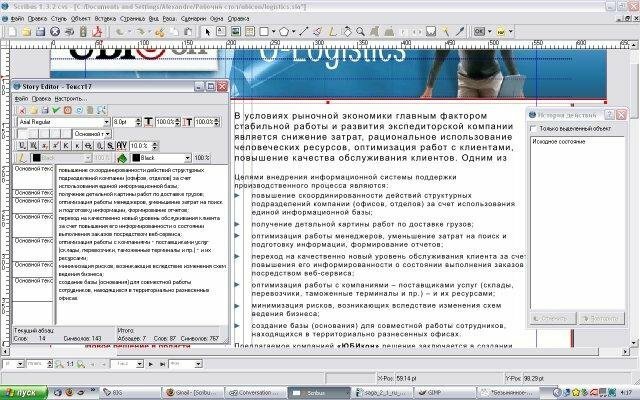 This Linux pdf editor is based on QT3.x that offers a GUI. You can add text, images into pdf files, and also can delete any particular section of information. 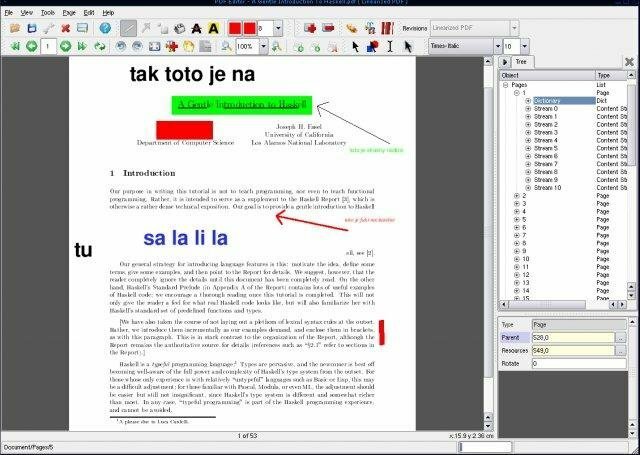 PDFsam is also a free and open source pdf editor for Windows, Mac, Linux and any other operating system that supports Java. It provides some basic tools for editing pdf documents like PDF split, merges, mixes, extract pages and rotates PDF files. There are lots of Linux pdf editors available in the market including free and paid version. 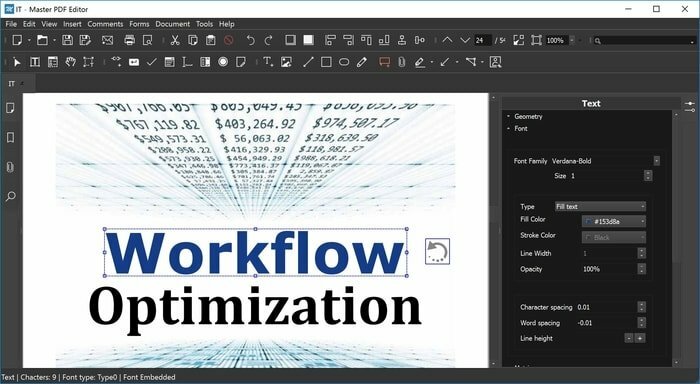 If you just want basic editing features, you can use one of the free and open source pdf editors or be an advanced user, just grab a commercial version which offers featured rich editing capabilities. 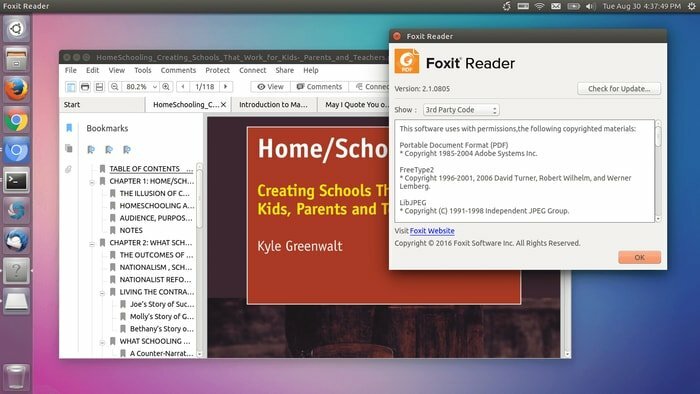 Did we miss any important and amazing Linux PDF Editor in this list? Please feel free to suggest any open source pdf editor that you know and we will enlist that in the content soon. Note: For clarification, these applications are not listed in any specific order and the features mentioned here are not all-inclusive. The features mentioned are compiled either from their respective official websites or from my personal experience using them. Xournal doesn’t do much, it isn’t under development any more. The shape recognizer is useless. But I keep on coming back to it because it’s the only one that keeps the original pdf as is. It doesn’t move things around or resize them, etc. The rest of them always destroys the original pdf in some way. I can draw shapes by using utf-8 fonts and resizing them. While I have attempted to stay the course with free software, pdf editors are severely lacking in editing capability compared to Adobe’s products. I found and have been using Quoppa’s PDF Studio Pro for many years and it is my preferred PDF solution. They have listed to many of my requests and incorporating them into the software over the years. While it is not free, it is easily worth the money to be able to keep using Linux as my main OS (99.9% of the time – work requires me to use Windows once in a while). Xournal use to be my favorite. It was in the repository of my preferred distribution: Linux Mint. However, through the evolution of the distribution, it seems that Xournal has lost its ability to ‘sync’ with Linux Mint. Now, in my case at least, it is no longer possible to reliably open, edit, or save PDF documents.